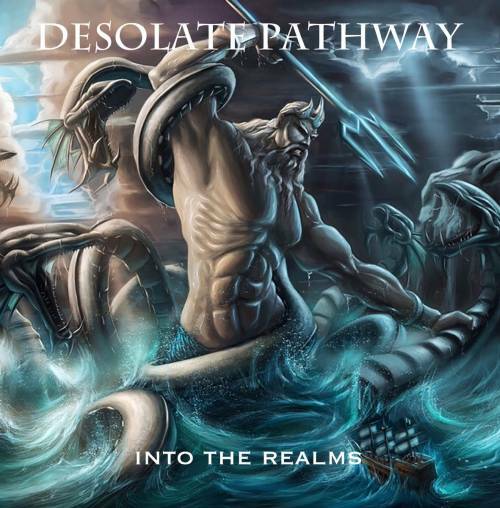 Desolate Pathway entered the annals of recorded metal history with this, their debut full length, from the mind and hands of Pagan Altar alumni Vince Hempstead and band mates. Surfacing over a year ago, this record is grandiose in vision and scope. It takes in a fully realised fantasy concept story regarding a prince fighting his way to his rightful throne (“The Throne of Lights”). As such, it should be approached as a concept record, but of course, the songs work as stand alone pieces as well. The title track opens strongly- and includes a scene setting voice over, the band's titular theme song follows and displays some fine changes of pace, lovely soloing and well delivered vocals. The sound is also crisp and clear- a bonus as so much doom gets obscured in a veil of production murk. 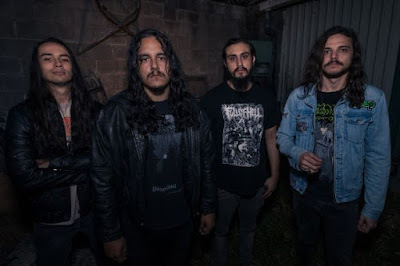 “Forest of Mirrors” has an insistent rhythm that chugs its way into your consciousness- and good harmony vocals to boot. 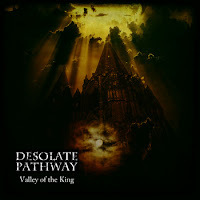 This mixes and matches trad metal to doom with great effect and brings out a great performance form all band members. “Last of My Kind” is a different proposition- clocking in as it does at over six minutes. The track builds up from an interesting clean opening to a feel of epic doom for the first chorus and then a time change. This is complex and challenging stuff for doom- particularly for those of the tribe who mainly listen to two chord riffs played by musicians who don't know many more than that. The track then adopts a circular pattern approach- as the best metal does, it should be noted. The trad riffs of “Season of The Witch” hit the sweet spot- just the right mix of Maiden meeting Candlemass, most likely in some kind of enchanted forest! Some good changes break up the full on gallop nicely and ready you for the solo that weaves expertly over the drop in tempo. “King of Vultures” continues the story, and yes, wizards are mentioned. Much slower in approach than the preceding track, it adds an ebb and flow element to the record and this works extremely well, allowing the listener (me!) to immerse themselves fully in the experience of the record. “Shadow of The Tormentor” has some rather evil sounding riffs to go with a strong and insistent hook. The clean section enhances the heavier parts- dynamics are used well by the band throughout- and again the lead work is of uniformly excellent with emotive qualities. The albums closes strongly with “Upon The Throne of Lights”- it ends suddenly and after some strong vocal hooks and fine musicianship. If you are looking for an album with epic doom qualities, in direct lineage with the greats of doom and trad (Candlemass, Sabbath, Maiden et al), then look no further. This is an excellent and all encompassing album, waiting and ready to take you on a fantastical journey. Finally, catch the band live when you can- they slay! 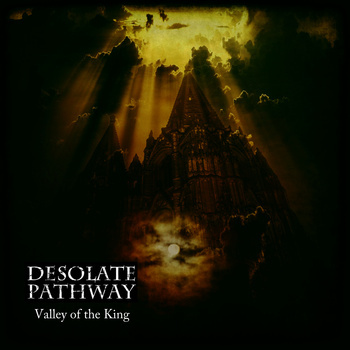 Following on then, from last years fantasy concept record “Valley of The King”, comes this tempting taster for their forthcoming full length. The forthcoming record, I hasten to add, is to do with all things Greek and mythological- such a rich vein of inspiration to tap into for the band. Musically, this single is of the epic doom variety- think Candlemass and you have the mainspring from whence this band originate, I reckon. The A-side here, “Into The Realms of Poseidon” starts with elegant piano and obligatory sound of waves before the track comes in... quietly. A finely sung vocal and clean guitar compliment a solid rhythm section which shifts feel accordingly with the heaviness which follows. It's wistful story telling with powerful riffs and a keen sense of dynamics. The approach demonstrates the new line up working cohesively and impressively on a song which is epic in scope and concept. Excellent stuff. The second track “Tales of Glaucus” is a more straightforward proposition- it demonstrates fine riffing which takes in trad and doom influences- nice to be able to hear all instruments in the mix, too. There are changes aplenty through the song- it is not a one dimensional plod fest- and the band handle these with aplomb. As a stand alone single this is an excellent example of what the band are all about. 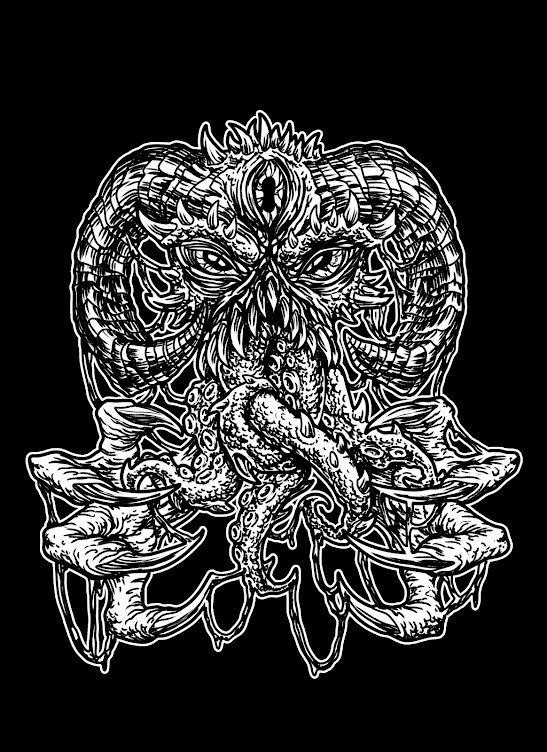 As a taster for the next album, it whets the appetite to insatiable levels for epic doom from a unique band. Roll on album number two!